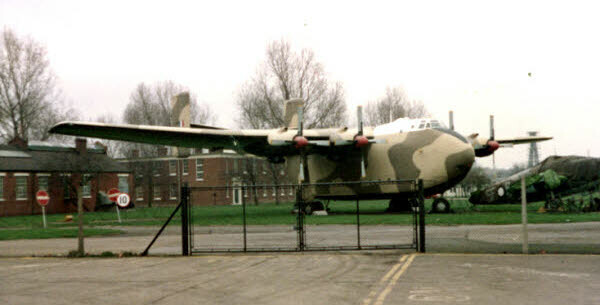 ABOVE: XH124 outside the RAF Museum. XH124 first took to the air in April 1957. 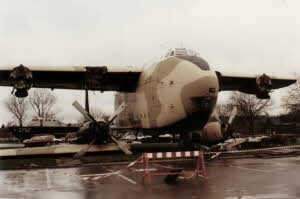 It served with 30 Sqn, 84 Sqn and 242 OCU. 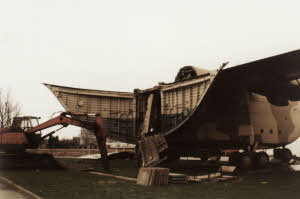 In June 1968 it went to Hendon for Display outside the RAF Museum. Sadly it was not to remain on display for many years. 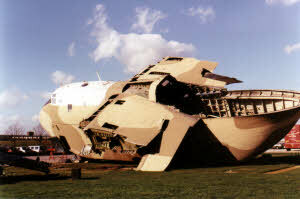 When the RAF in its infinite wisdom scrapped XH124 in 1981, as well as an act of great stupidity, it was an act of mindless vandalism. 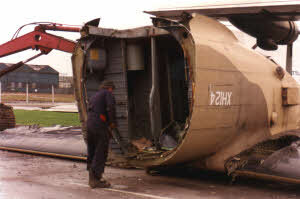 The RAF had destroyed their last Beverley. 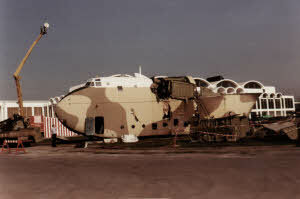 A sad day for aviation history indeed, possibly made worse by the fact the XH124 was standing outside their magnificent museum at the time. 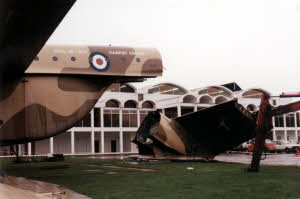 I wonder what visitors to the Museum thought when they saw this aircraft being broken up? On a visit to the Museum, I talked to a couple of members of staff about the scrapping of XH124. 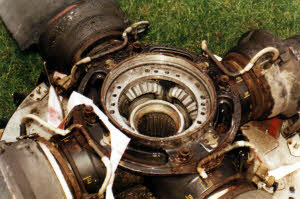 I was told that the aircraft had deteriorated badly and there was no hope of saving it. That begs the question of why nothing was ever done to prevent deterioration from happening in the first place. The RAF was not exactly short of storage space for aircraft. 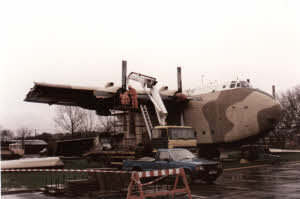 Even one as large as the Beverley could have been stored, in pieces if necessary, until preservation work was possible. 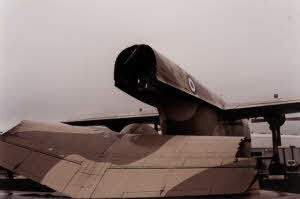 Possibly nobody cared for the future of this Beverley. 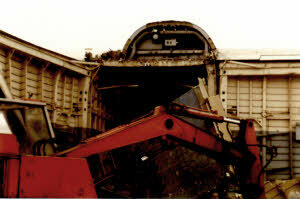 Even at the time of scrapping, why were not pieces of it kept for display? 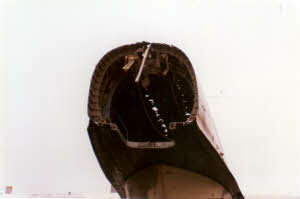 The Flight Deck for example would still have been an attraction at the Museum. The Beverley may not have had the grace and lines of a Hawker Hunter, Blackburn’s aircraft not generally being noted for their elegance, but it more than proved its worth in the middle and far east, as indeed did the Hunter. 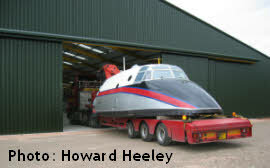 How many people were delighted to see a Beverley at Dhala - an ‘impossible’ airstrip? 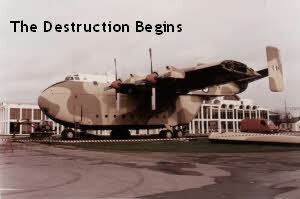 How many in the jungle of Borneo welcomed the sight of stores being air-dropped from Beverleys. From cigarettes to armoured cars, the Beverley delivered them all. I thought that the last photograph of the series above should show an important part of every Beverley, which I am sure that many will remember well. It contains a certain waste disposal device down which the head of the person who authorised the death of XH124 should have been firmly pushed - preferably with said device having been properly used first! 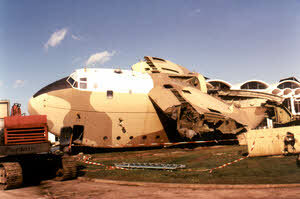 The RAF is now left without one of the most important transport aircraft of its time. 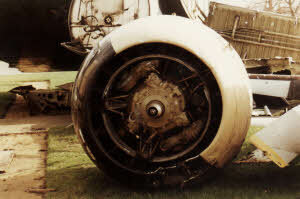 It is fortunate that one Beverley has been preserved for posterity at Fort Paull. 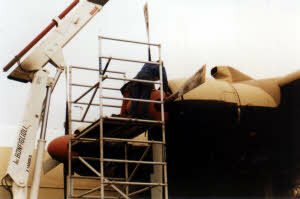 The flight deck of XB261 has also been preserved . 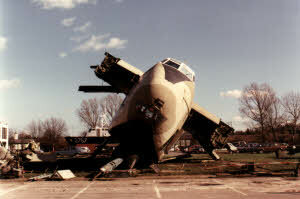 This is at the Midlands Air museum at Newark. The photo on the left shows it arriving at Newark on 25th May 2004. My grateful thanks to Jim. Murphy, ex 47 Coy RASC (AD) for these photographs.